It’s all about the books we read this spring. From the monograph of Spanish icon and architect, Ricardo Bofill, the works of Danish ceramic artist Gitte Jungersen to interior books on contemporary living, an unconventional guide to New York and a sensuous introduction to 16 Belgian artists. I first became aware of Ricardo Bofills visionary architecture when I was a student at the university. On a trip to Barcelona we visited both the housing project Walden 7 and saw his studio, La Fabrica, from the outside. Since then I have been a fan. A fan of visionary thoughts and ideas, and of the courage that comes with bringing them to life. Gestalten Verlag has published a true gem of a monograph about this bold Spanish architect. Most of his projects are displayed through beautiful, arty and colourful photos by Spanish photographer Salva López that underline the philosophy of the contemporary architect. Bofill draws on a passion for mathematics and the architectural avantgarde movement Archigram – a passion that has paved the way for his plug-in-architecture that resemble building blocks, but are in fact developed through highly advanced mathematical equations and a rich and visionary idiom. ”From the desert to the city, from critical regionalism to classical post-modernism, Ricardo Bofill's career has spanned a vast and ambitious trajectory. What has remained constant throughout is his confident, singular vision of how buildings can better human behavior," says design editor Tom Morris. 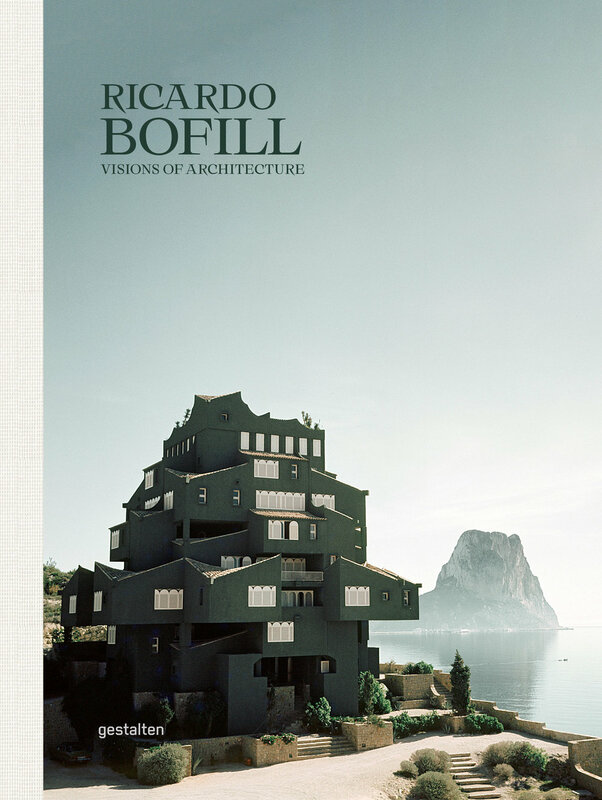 Read the book if you have a visionary crush on architectural photographs and want to be inspired, because Bofill is truly an inspiring architect with inspiring thoughts on living. Even though this book was launched in 2016 it is still worth mentioning for its richness in photo style and belief in the sensous and unstyled presentation of artists. 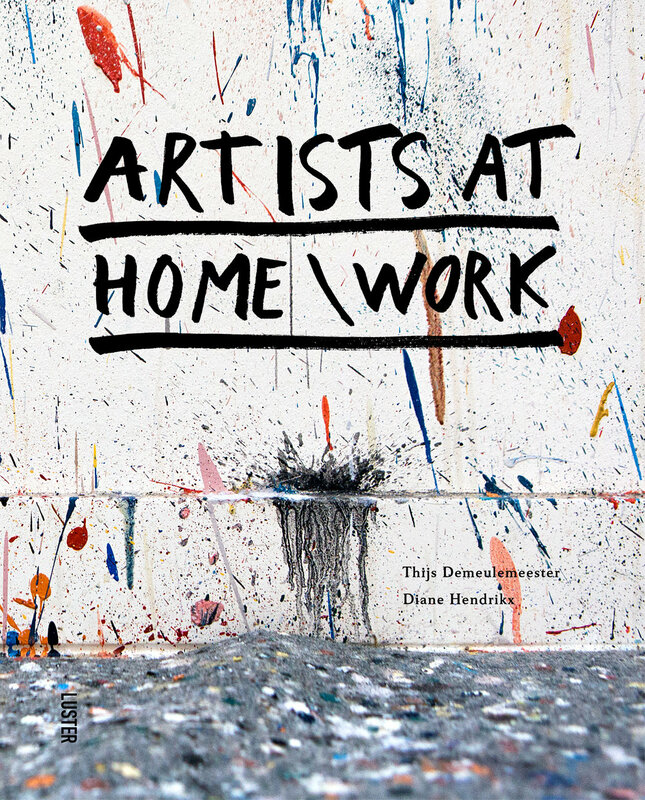 16 of Belgiums most esteemed and established contemporary artists are portrayed in the book at home and at work – and several of them actually both live and work under the same roof. The book is huge and is truly value for money. Each artist is introduced in both english and belgian, so you have an idea of why this artist works like he or she does. That is a relevant feature, but I want more. More information, more background, more personal and detailed stories about how and why they work like they do. For instance I find it truly insightful that Sofie Muller grew up amongst antiques and religous art due to her parents work as third generation art dealers. That makes total sense, when you look at her art – and plays an important part of actually understanding the layers, meaning and purpose of her art. To my knowlege at least. All the portrayed artists are established – both in name and fame and in ressources as they live and work in impressive surroundings – from modern and contemporary glass architecture to old historical buildings and edgy warehouse spaces. To be invited indoors in houses like that are always an inspiring visit and that is why the book with its inane focus on artsy details like brush strokes, colourful spunges and pencil writing on the wall make an inspiring unity of art, portraits and sensous experiences. ”Kitchen Living” and ”Northern Comfort” are two new titles from the German publishing house Gestalten, known for their delicate books on graphics, living, design and art. Both ”Kitchen Living” and ”Northern Comfort” are easy on the eye and a great joy to flicker through, but the reading is sparse. I can’t help feeling that the content is – no doubt – carefully selected, but collected from various design and kitchen companies’ websites and pr channels and converted into the script of each book. I miss a real writer. Someone who knows their trade and craft and have actually talked or interviewed the company owners about their mission. Interviewed the designers about their furniture, kitchen design or choice of materials. I miss stories about the personal challenges that have been resolved in the proces of building a kitchen or inventing a design. I miss the explanations of why and how. I miss real people and real lifes and not just edited and manipulated photos and staged homes. I miss a writer who is familiar with the field and is able to connect the dots – whether it be dots about nordic design comfort or kitchens and their practical, functional and aesthetic notions. The concept of Gestaltens two new books seem simple and rather obvious as it is a cost efficient way to produce content for books. You choose an editor who can pick and choose various pr material from the best brands in contemporary nordic design – or in kitchen design. You throw in an interview of a person, who tells their personal story about kitchen living or creative living in the Nordic countries as an introduction to the book in question and sprinckle the edited pr material from the different companies with a reportage from a cool home or two to add a personal and authentic touch – and that is homes that have already been exposed in various international interior magazines. I feel cheated and rather disappointed. Both books end up being exclusive catalogues of exisiting brands and their products, collected and curated by an editor, who has no intention of telling a real story, just showing it off in a trendy book design. This is a fast track to writing and publishing a book and if you are in the market for an overview of nordic design comfort or an introduction to various high end kitchen brands the books definately have a purpose, but if you are looking for a coherent story about either, you’ll be disapointed. In my opinion design books need to have clever content to rise above the prejudice of being superficial and about purchasing items. Clever books should change our perceptions, our knowledge and our inspiration instead of just copycat’ing exisiting material and transforming it into (design?) books. This guide is not a guide and therefore it is acutally a guide. Caught through the lense and eye of New York based Belgian photographer Silvie Bonne more than 100 spots are presented and described. With the starting point of her instagram account Bonne has collected the best images and places to visit in New York over the past years and gathered the information and images in NYC GUIDE FOR INSTAGRAMMERS for us to experience and see both as ’photographers’ and as plain visitors looking for interesting places in the Big Apple. Therefore – the guide that was not meant as a guide – has become a guide. And an unconventional one. The images are real and sensous and makes you feel, that you are actually there and the information about the spot or destination in question is hands-on and practical. 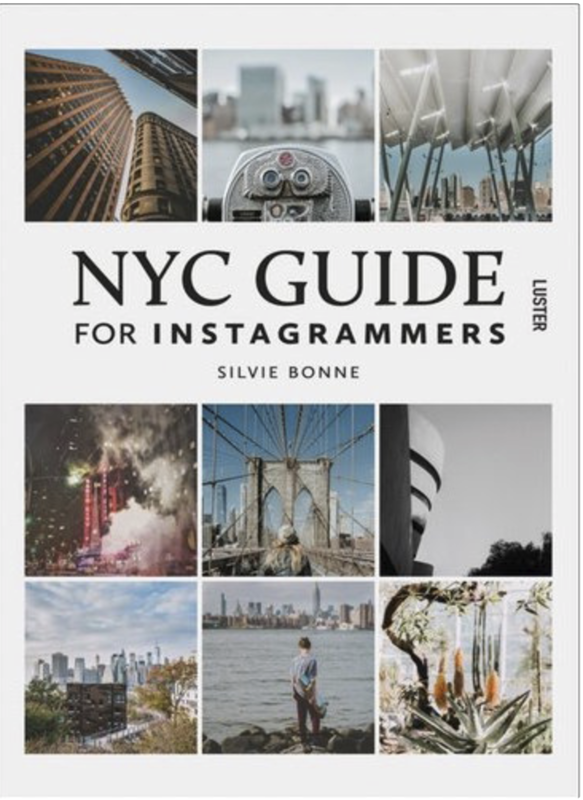 NYC GUIDE FOR INSTAGRAMMERS is a fresh, informal and joyous take on an old classical typologi within travel books that deserves a lot of credit. Gitte Jungersen is one of Denmarks most established ceramic artists. She has worked with the mysteries of glaze throughout her career and is today widely and internationally known and recognized for her artistic practice that focuses entirely on glaze as an independent vessel of tactility, knowledge and language. The book has texts by both Lars Dybdahl and craft art expert Jorunn Veiteberg – as well as others - who set the stage for the Danish artist and her bold ceramic language. The images of the book are mostly shot by Danish art photographer Dorte Krogh, who has an experienced eye for the sensous details of the material, and the many close-ups of glaze and colours are eye candy at its best. The book presents some of Jungersens most significant projects from 2007 to 2018 like ”Place to be lost”, ”All is Flux” and ”Little Hybrids” and are introduced in small texts by the artist herself.